There’s a bit of an oyster theme to this pool. There are sharp oyster shells to avoid sometimes. Even the swim club is called the Coledale Oysters. I picked a perfect morning for my swim here; warm autumn sun, and the tide a few hours past high so the rocks around the pool were still gleaming with the remaining puddles and the pool itself stood there inviting me in. Just one guy in there when I turned up and he was getting out so at first had the pool to myself. An absolute delight: full 50m length and a good depth all the way along, from about 1.2m at shallow end to nearer 1.5m at the deep end. Apparently, I’m lucky the council cleared the pool walls and floor of oyster shells a short time before my visit, or my wayward directional skills may well have had me cutting myself on sharp shells, something regular visitors can all speak of from personal experience, I’m told. This was one of those perfect days for a swim, though. And I could see others shared my glee. Not long after I’d arrived a mother and three kids turned up, with the kids just stripping off and jumping straight in. It really is a pool that draws you in. 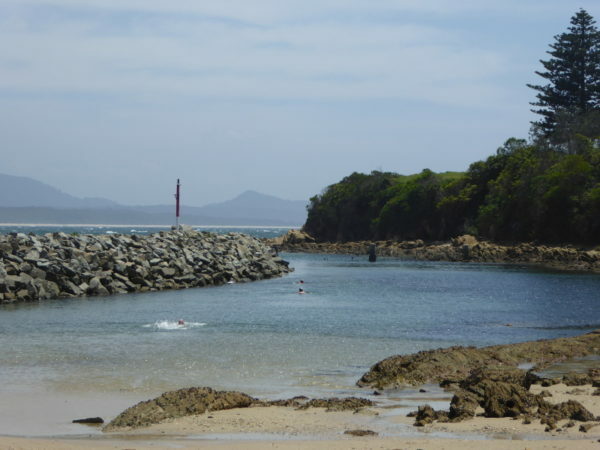 The pool is on the rocks at the southern end of Coledale beach. If you arrive by train, it is almost straight down from the station, but at the main road you have to do a dog leg either to the left or the right. If you want to get changed, you need to take that right dog leg because the changing rooms are above the rocks and some 200m from the pool. That’s also where the showers are (both in the changing rooms and outside). If you do as I did and arrive via the left dog leg, there is nowhere to change; in fact I thought at first that the bench by the pool was the facility, until regulars told me otherwise! Lots of options for getting in. There’s a gradual slope at the shallow end, though I’m told that can get slippery with the sea weed on the floor. There are vertical steps half way along (though quite an effort to get out that way as there are only 3 steps); and then two sets of steps (one much more gradual) at the deep end. There are big differences with the tides here. I got there about three hours after high tide so enjoyed the perfect conditions: water recently refreshed; waves still splashing up on the edge of the rocks but not into the pool; and the beauty of the flat rocks with shallow pools still left from the tide. At high tide on a calm day, you have a paddle through very shallow water to get to the pool from the road (whether you take the right or left dog leg). But both locals I spoke to said a high tide with strong swell or with a north-easterly can bring the waves up over the height of the bench by the pool. ‘On those days, leave your towel by the changing room’! And on a really rough day you also need to be careful not to be washed up against the wall of the pool or over it completely. There is a paddling pool just cliff side of the main pool. Work on this pool began in the early months of World War 1 and was led by local coal miners. It didn’t officially open until 1921, though. Ever since the 1940s, there have been stories of the oyster shells that build up here on the sides and floors of the pool, causing nasty cuts if you push off against one. So beware, even today. Though the pool was pretty clear of such shells when I dropped in. Les, who is a long-standing member of the Coledale Oysters Swimming Club. It’s a men only get-together every Sunday through winter (starting in April each year). No wet suits allowed, but other than that, they’ll mollycoddle you with a helpful handicap if you are not as fast as the others. And after the swim, everyone moves up to the local RSL for hot soup and a winter warmer. I didn’t ask Les’s age, but he’s certainly a senior and needs to look after his heart these days, so doesn’t go in the water if it’s under 16 degrees now. Craig has lived locally for almost 30 years, though his family have had a home in Coledale for almost 50 years, so he’s had many long and happy years swimming in the pool. He’s the one that warned me about those high tide swells that can launch you out of the pool and can get so high that they submerge that bench by the pool. 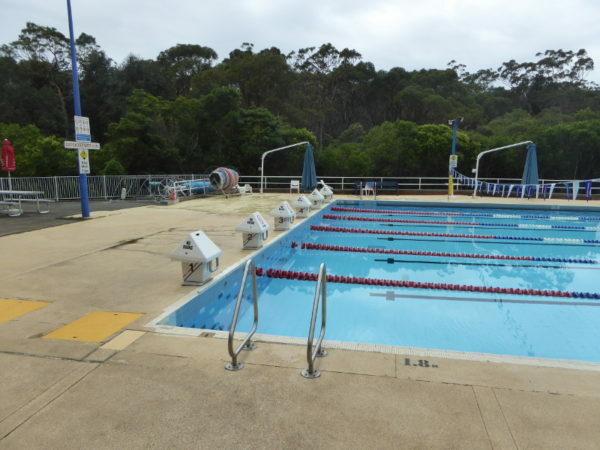 Catherine’s family moved to Coledale 46 years ago just after she was born so she has had the good fortune of swimming in this pool all of her life. I met her at the pool side with a visitor from Japan. She spoke of swimming her from early childhood and knowing all the rocks and nooks and crannies around the pool so she can even swim in here safely when a king tide storm is raging all around. 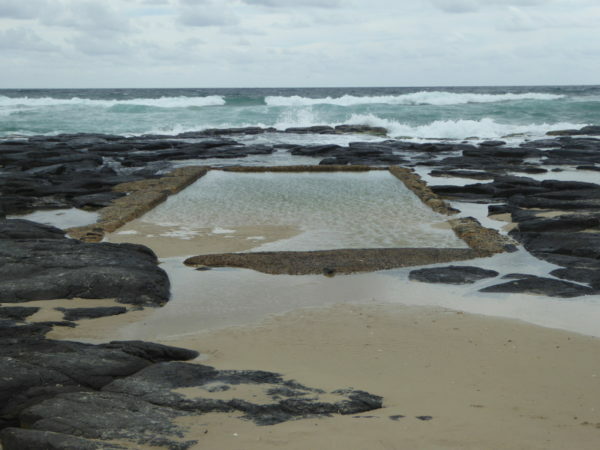 The Illawarra Mercury ran a piece on Coledale Rock Pool as part of it 2014 series. Swimming blogger Sally came here in 2007 – but actually didn’t go in. There have been lots of changes in Coledale since I last swam here, so if you know of the best place for a post-swim cuppa, get in touch and let us know your tip. My old favourites are no longer going. Thanks Claire. 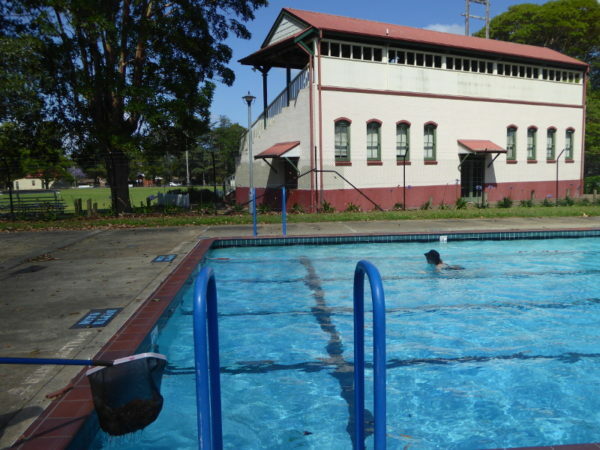 Great to think the pool was a favourite place for both coal miners and their families. Coledale Pool is certainly one of my favourite ocean pools in the whole state. Once upon a time in my 20s I rode my pushy from Thirroul just to swim here but the tide was up and the sea rough. I tried the “not even a swell will stop me from swimming” attitude and got in to swim freestyle. I looked right to see the stair handrails at eye level. So I grabbed hold of them and got out quick smart. I swam here since I was 10 yrs old ,now 59 yrs young. I know every inch of that pool. 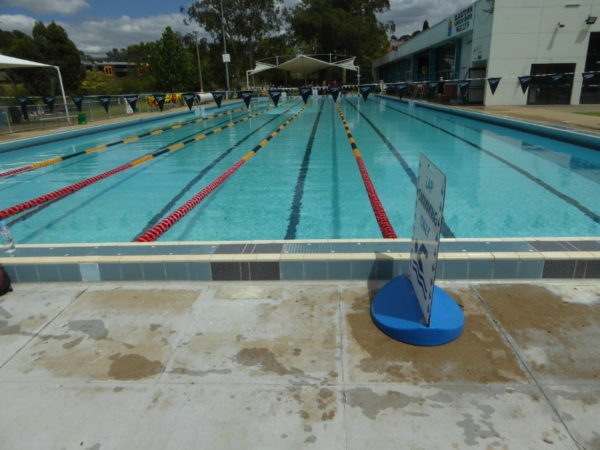 I would love to catch up with the other swimmers who grew up and swam at Coledale Pool.